Ships tomorrow if you order in the next 21 hours 46 minutes. RLC Labs' a-Drenal is designed to help with less-than-optimal adrenal function while supporting the health of adrenal glands. 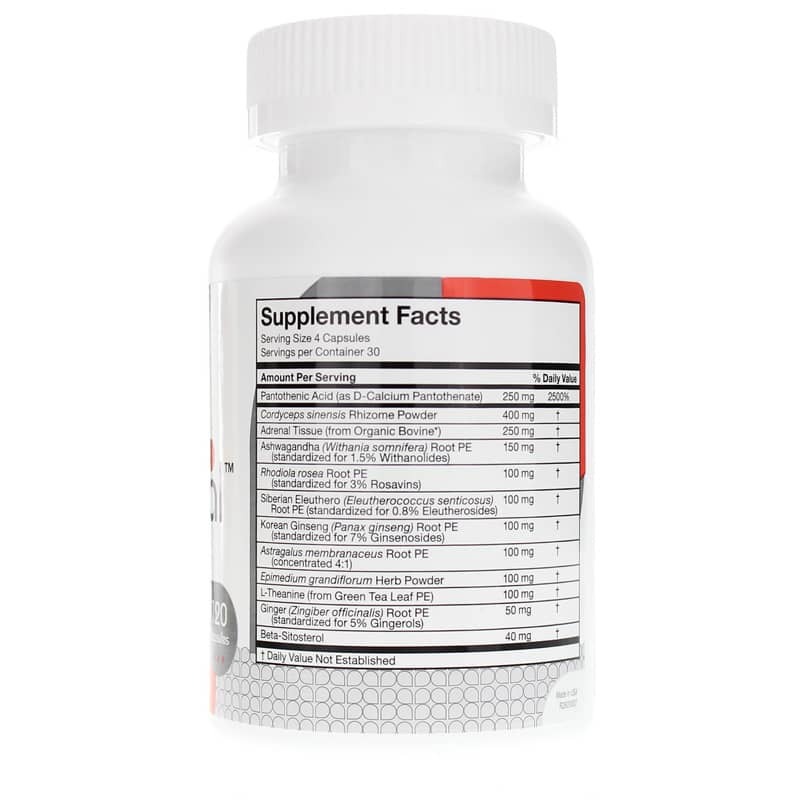 This formula also works synergistically with i-Throid to offer well-rounded thyroid support. Give it a try by ordering online today! **Raised without the use of antibiotics, hormone injections or GMO feeds. Contains NO: fillers, excipients, corn, dairy, egg, fish, glutens, peanuts, rice, shellfish, soy, sugar, yeast, artificial colors, flavors or preservatives. 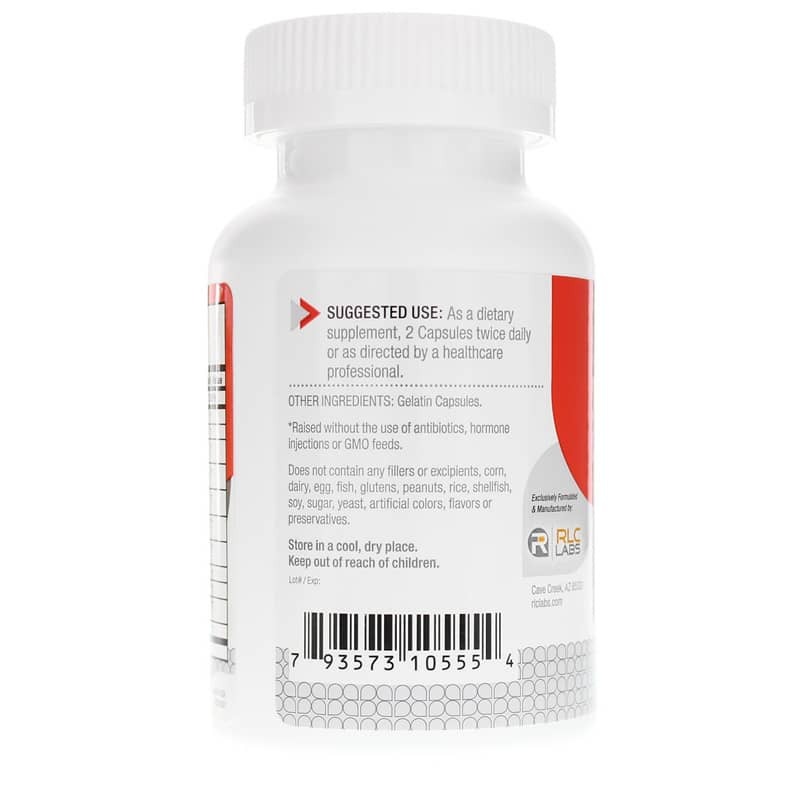 Adults: As a dietary supplement, take 2 capsules twice daily or as recommended by a healthcare professional. My doctor had recommended this product to me for occasional stress. I found that after taking two pills twice a day, it does add a greater sense of relaxation. Will always reorder a-Drenal from Natural Healthy Concepts! A Registed Nurse recommended this product to us. Tried numerous other variations in the past. This formulation Works! Can tell a difference within 1 1/2 weeks of taking a-Drenal. I even got my daughter-in-law taking it and she said for her it's made a big difference. She doesn't feel tired all the time. I think this is my 4th order for A-drenal. I definitely feel better but honestly don't notice until I stop taking it. 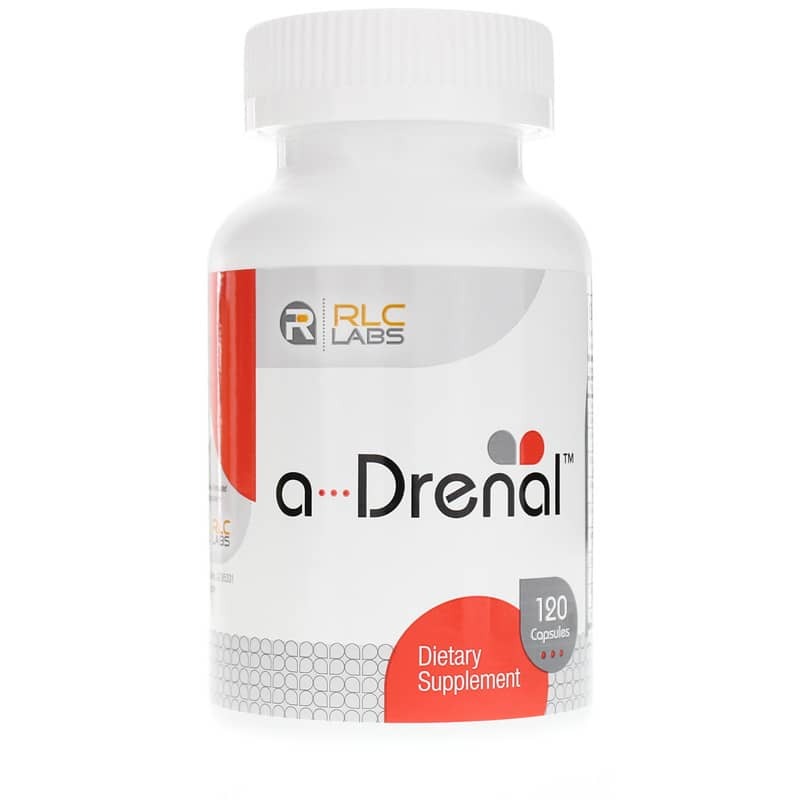 a-Drenal definitely gives more energy and support for adrenals. I take it every day. At the suggestion of my Dr., I have used this product for 3 years. I consistently feel better about my energy level. I don't struggle to get out of bed at 4:30am to go to the gym for a great work-out, and I don't use caffeine. I have only taken this for 2 weeks, but feel a subtle difference. I take Nature-Throid and I really think a-Drenal is a great compliment. This has helped me feel so much better. Love this product! I have been taking a-Drenal now for over 4 years now. Amazing! Within 10 days of taking a-Drenal I started to feel like I did when I was 25! Thank you SO much! Dr. requested I take this and he was right. Feel very well on a-drenal from RLC. The a-drenal product is great - I take half the recommended dosage (two capsules at bedtime instead of two capsules twice daily) and have had great results!! The ordering online and delivery sytems is effortless... keep up the great work! I can't find the RLC brand in stores. I got a-Drenal in record time and it's priced well. a..Drenal was recommended in Suzy Cohen, America's Pharmacist column. It has helped me to have a better quality of life and I'm grateful to have seen it in her column and found it so readily available through this company. I have taken a-Drenal for one month. The changes have been subtle but positive. This appears to be a good quality product and is certainly worth trying. This is the best place to get them with the best prices. Thanks NHC for all your help and great customer service! You are all awesome!! !